The aim of the research presented in this thesis was to infer design-related insights and guidelines to improve the use and effectiveness of home energy management systems (HEMS). This was done through an empirical evaluation of the longitudinal effectiveness of these devices and an exploration of factors that influence their use and effectiveness. Three case studies executed with three different HEMS in households, a life cycle assessment (LCA) on those three HEMS, as well as a reflection on the challenges of both researching and implementing HEMS in existing housing gave a comprehensive picture of the opportunities and barriers for HEMS. The research revealed five typical use patterns that emerged amongst households. It also revealed average energy savings of 7.8%, which however decreased in the follow-up that was conducted, and factors that may influence the use and effectiveness of HEMS. Nonetheless, the LCA calculations divulged that the HEMS can achieve net energy savings when taking their embedded energy into account. 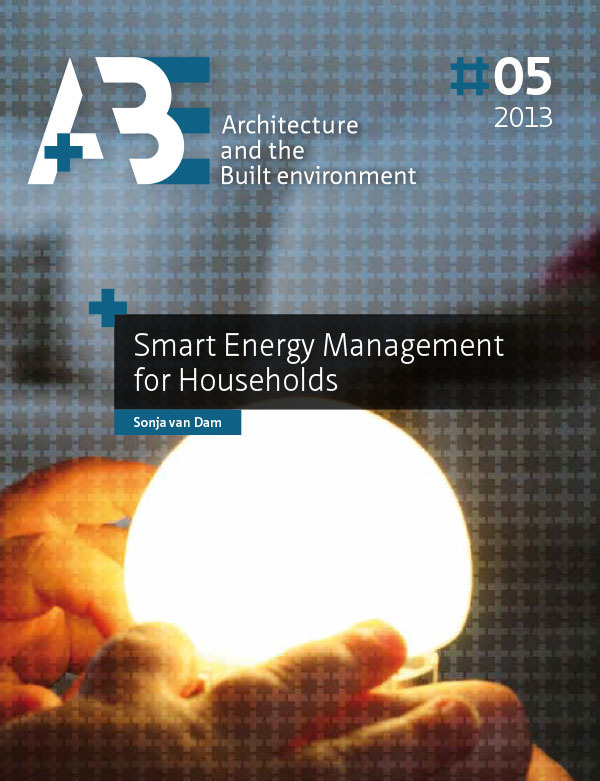 The goal of reducing the energy consumption of existing housing formed the basis for this research. There are many facets to this energy consumption, including the characteristics of the house, its appliances, and the behaviours of its inhabitants. Because of this complexity, addressing only one of these facets is not effective in substantially reducing the overall energy consumption of households. This called for an interdisciplinary approach, merging the domains of design for sustainability, sustainable housing transformation and environmental psychology. In this thesis, HEMS were chosen as the intervention to address the various elements that contribute to household energy consumption, thereby functioning as a pivot. By giving feedback and/or helping manage consumption they can assist households in changing their behaviour and help save energy. However, in analysing literature on HEMS, four critique points were encountered. Past research tends to be limited in the types of HEMS and energy sources studied. Furthermore, limited knowledge was available on the longitudinal effectiveness of HEMS, the large variances in achieved energy savings and use of HEMS, and factors influencing their use and effectiveness. To address these critique points and explore the influence of the factors: user, HEMS, other people, other products, context, and time; a framework was proposed. It postulated the pivotal role of HEMS and visualized the interdependence of the different elements. This framework structured the findings of the research. Three case studies were conducted. The first case study with an electricity monitor revealed that the effectiveness of HEMS tends to decrease over time. The initial savings in electricity consumption of, on average, 7.8% after four months were not sustained over a period of 15 months. The participants were divided into three groups, who all had the same rate of fall-back. However, the group that had a daily habit after 15 months of checking the monitor, achieved the largest savings in comparison to the groups that did not have a daily habit after 15 months or that returned the monitor after four months. The second and third case study with a multifunctional HEMS and a energy management device revealed five distinctive use patterns: there was often one main user who varied strongly in their knowledge of, interest in, and affinity with energy and technique in general, resulting in different needs and desires concerning the HEMS. Additionally, the studies revealed that contextual factors, such as the structure of the home and its energy meters, can impede the use and implementation of HEMS. The positive result of the LCA was that all three types of HEMS can theoretically achieve net energy savings (where einvested < esaved) over the course of five years in the six scenarios that were created. However, it can take up to 24 months to achieve net energy savings, depending on the scenario and type of HEMS. No HEMS achieve a positive return on investment within five years in all six scenarios. This research found that the role of HEMS in reducing the energy consumption of households is constrained when not taking the factors into consideration that were distilled in the case studies. For one, human factors, such as the characteristics of the user and other household members and family dynamics, may influence the use and effectiveness. Furthermore, physical elements, such as the design of the HEMS (e.g., the type of feedback, the quality of the technique, its usability and applicability) the design and functioning of appliances and the dwelling played a role. Particularly, the interplay between people and these physical elements such as the match/mismatch or compatibility/incompatibility between HEMS, users, appliances and the dwelling were influential, in part due to the complexity of reducing energy consumption and users’ preferred type of reduction approach. Based on these factors, design guidelines where formulated for HEMS with the aim to achieve lasting energy savings and increase the usability of HEMS. Examples of these guidelines are: HEMS should not be developed as standalone interventions but should be incorporated as part of a broader, overarching change strategy; one size does not fit all; and careful trade-offs needs to be made with regard to the design of the HEMS, e.g., while a small display size is positive for the LCA, it could limit the potential to influence behaviour. The resulting knowledge of these studies can be employed to inspire the different domains merged within this thesis. For the HEMS industry: in striving to designing HEMS that are capable of influencing users, effective in reducing energy consumption, and easily usable and implementable in everyday life. For the building industry this research illustrated the benefit of considering the behaviour of inhabitants in achieving sustainable housing transformation. Furthermore, lessons were presented in how the building industry can contribute to increasing the ease of implementation of HEMS. HEMS researchers may assimilate knowledge for future research to deepen the knowledge on ways of increasing the effectiveness of HEMS.